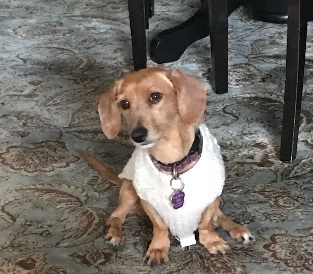 Many of you know that my wife and I are real dog-lovers and we are borderline obsessed with our adopted Dachshund-Terrier Mix, that we affectionately call Ray Ray. We both grew up with Dachshunds during our childhood and that was our first common connection as a couple. She is a rescue that we found online and she was transported to us from Arkansas. We had to pick her up at 1 AM in the morning at a strip mall outside of Hagerstown, MD after she had been in a van with other dogs for days. She was extremely dirty and was shaking with nervousness, but we all had love at first sight. We wish we could learn more about her life before us, but unfortunately we don't speak Bark and she doesn't speak English. Whatever the case is, Ray Ray has a lot of anxiety and is attached to our side when we are home and shrieks when we leave her. Nonetheless, she is a sweetie and we love having her as part of our family - she is our "Furbaby". This was our first Rescue dog and it has been a great experience all the way around. There are so many dogs that would love to find a happy home out there, so consider adopting today! There is nothing better than coming home to a dog with a wagging tail and a belly rub, and she provides a daily lift of happiness to our lives. 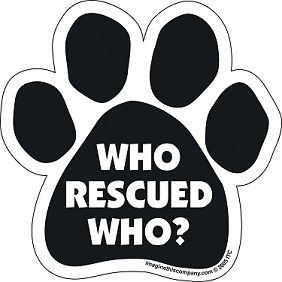 As they say, "Who rescued who?". The S&P 500 Index gained in April for the first time since January. However, this widely followed U.S. equity index remained in modestly negative territory for the year to date. At the beginning of the month, the S&P 500 briefly dipped back into bear market territory (down 10% from the late January highs), but it recovered from that point to close out the month on a positive note. Higher capital market volatility coincided with this early month decline in equities, but volatility moderated from that point for the balance of the month. Most major U.S. stock indices, including the S&P 500, Dow Jones Industrial Average, NASDAQ, Russell 1000, and Russell 3000 managed to post modest gains for April, although these indices are still down on a year-to-date basis. The Russell 2000 Index, a measure of small capitalization stocks, also enjoyed gains in April and is now positive for the year to date. Developed international stocks outpaced the major U.S. stock indices for the month, while emerging market stocks declined. No significant performance advantage was evident between growth and value stocks. The notable rise in 10-year U.S. Treasury yields that began 2018 resumed in April. The yield on the 10-year U.S. Treasury rose 21 basis points during the month and crossed above the important 3% mark, its highest level in over four years. Overall, this increase in interest rates resulted in negative returns for most fixed income sectors in April. High-yield bonds were one of the few pockets in fixed income that bucked this trend and turned in positive monthly results. The Bloomberg Barclays U.S. Aggregate Bond Index posted negative returns as both Treasuries and investment grade corporates declined in value. 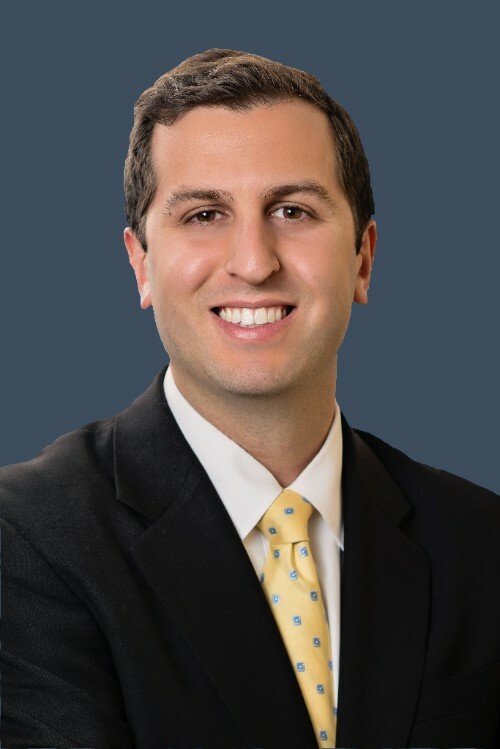 Did you know that the 529 plan has had some updates as part of the recent tax reform? You can now use the 529 plan to grow money on tax-free basis for college and also Kindergarten-12th grade. Also, if you utilize the State of Maryland plan, there can be some other benefits. Maryland offers a $2,500 state tax deduction per account and they recently introduced a Maryland Match Program which would allow $250-500 of matching funds contributed to an account if you meet certain criteria. There can be some nuance and strategy when using 529 plans, Prepaid Trust Plans, or other account designs. If you are considering your education planning strategy for you or your family, give me a call today. Kate Middleton’s cost of delivering their third child in a private luxury room which included an “en suite” bathroom, a refrigerator, and a menu of nutritious meals including a comprehensive wine list, was actually cheaper than the average cost of delivering a baby in the United States. The market for wellness- whether it be a trendy health fad, a diet, a supplement, a specific type of exercise equipment, or an alternative treatment, now exceeds the total U.S. health expenditure for illness and disease. The median pay for Facebook’s 25,000 employees last year was $240,430. Mark Zuckerberg’s total compensation was more than $8.8 million. Facebook’s median pay is second highest. Incyte, a biotech firm with 1,200 employees, tops the list at $253,015. Competitive video gaming is now a $1.5 billion-a-year industry and the world’s fastest growing spectator sport. E-sports tournaments and live streams drew 258 million unique viewers in 2017- more than all of the watched NFL regular-season games combined. Forty-three percent of music revenues came from streaming last year. Every book to hit #1 on the New York Times Bestseller List in 2018 so far has either been about contemporary politics in general or President Trump in particular. Nearly half of working millennials have $15,000 or more in savings and 16% have $100,000 or more in savings. If America's dogs and cats had their own country, their meat consumption would rank fifth in the world.